There are many ways to encourage internet reputation repair. One such example is starting a blog. It can be a highly successful way to maintain a positive brand and get your company noticed. It shows the human side of your business and the blog can be funny and entertaining but also very helpful. Another way to engage local custom is by engaging your local community, you could do online competitions and ask your reader base for their feedback. Ask for advice on what local charities you can support, have a company vote for the one you think is most appropriate and make sure that your supportive acts are documented by stories and images on a blog and your business website. This will improve your online presence in your community and it will get people talking about a business that they will trust and respect. It will spread your good name in your local community. You could create a funny video or gif of the goings on in your office, this will again help drive new business and loyalty from existing customers. 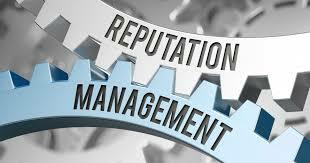 If you have tried this but still decide to ask a reputation management company to repair or maintain your reputation, then they will have many sophisticated and technical tricks up their sleeve. One of these is having a few keywords which they will use in an article on your website and which will describe your page to perfection. This will ensure that your website is relevant when it is brought up in a search on a search engine and this will lead to it becoming more and more visible. If you use images, ensure that they are properly tagged this is because search engines cannot see images they need to read about what they are about before deciding if your site is relevant to the search. They believe in the use of content this is helpful and useful advice relating to your business and these can be significant winners for driving trade and ensuring success. Never turn of comments on your online sites, a community of regular commenters who feel part of your company are essential to promoting your business. It highlights that you are a friendly, trustworthy, customer centric business who will reach out and communicate with its customers. If they post queries answer them in a professional and timely manner. If you get the odd negative comment, try to engage the person who made the comment and try to put right any wrongs that they may feel. Internet reputation repair companies are also very aware of what you shouldn’t do. Keyword stuffing is one of these, this is where you right an article to try and have your keywords picked up by the crawlers, but your article sounds unnatural and not fit for human consumption! The same is true of having too many links in your article it again becomes too disjointed for the reader. Not making your site friendly to mobile users is another concern that you need to avoid.